← Olive Garden: Success or Failure? Great post. I think that if the NFL wants to distance itself from these terrible situations they need to address them through their own policies. 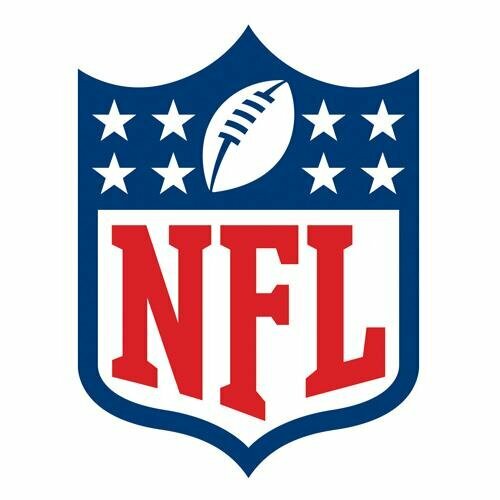 I have heard that many have an issue with the NFL taking the “law” into their own hands, which may be true to some extent, but what organization isn’t like that? Often times the policy that an organization has on certain subject is more restrictive than the related governing law. I’ve often heard the phrase that any publicity is good publicity and that argument seems to hold true with these situations, unfortunately. It is the NFL’s job to create/enforce their policies to distance themselves from bad situations like these, if they choose. In the past months, the popularity of the NFL has actually backfired because its reactions to legal situations get blasted as the standard across sports. It’s because of this that the initial suspension of Rice was so polarizing. How can the most popular sport in America set this kind of example? Related to class, the management in the NFL has been the weakest in handling these situations. Instead of exemplifying leadership, they are showing a lack of accountability. I think both the NFL and fans are ready to move forward and hopefully learn from the poor management shown the past few months. I think the fact that the NFL had taken such little action against Ray Rice caused the backlash from the public we see today. The NFL basically turned a blind eye in regards to the tapes that surfaced, and when they did surface, that is when they began to have problems. If the public had not seen those videos, Rice would be reinstated and he would play again, and probably nothing would have came from it. However, it was because of public knowledge and its backlash that he will probably never step on a field again. The ethical choices when handling these situations shows a weakness in the NFL that is only being highlighted today because of the internet and social media. The NFL is trying to cover themselves now by creating ethics committees, and it might be one of the only ways that they will regain public favor again. Going forward, the NFL has to change its policies and be more strict with unlawful actions if they want to keep female fans happy. They have the potential to lose a huge market if they do not. First I must state that I disagree with actions against Adrian Peterson, but agree with actions against Ray Rice. I make this statement because there is some blame that must be put on the media. The media had no business obtaining the Ray Rice video and showing it on TMZ and they have no right to criticize Adrian Peterson on how to raise his kid. In the case of Peterson I would say that some parents decide to discipline their kids in different ways and I think this was his way of doing it. Just the media because he is an athlete decided to ramp it up and make it outrageous to draw attention. In the case of Rice he deserved what he had coming to him, you just don’t do that. However, TMZ added insult to injury after he apologized in public with his wife next to him at an official Ravens Press conference and Jim Harbaugh present. Then TMZ ended Ray Rice’s career by showing the video of the elevator scene. When it comes to the NFL and actions against Ray Rice I think it will help them in the future because of what they have done so far. They brought in 4 female executives in charge of things like social corporate responsibility and criminal charges. Therefore with them on the panel deciding fates I think players will think twice before they do something stupid. When it comes to growth in the NFL towards a positive light I think that it can achieve this goal but its a long ways off. Should the NFL change? Yes. Will they? Probably not. Since this has become a huge topic of discussion I’ve heard many arguments saying that while the players admittedly make a big mistake, it’s not the responsibility of the the NFL as a whole to change because of it. I think this is slightly short sighted. Whether you are a corporation, organization or even a small business you have to realize your societal impact, and the NFL has a huge one. Whatever they think, promote, or condone will be widely accept that. As a operations manager, in this case that could be Roger Goodell, that’s just one more thing you have to consider when making decisions on behalf of your team. And I don’t think the NFL is doing that. This is a really great post because it highlights the cognitive dissonance of the NFL: we tend to think of ourselves as prideful people yet we support an organization that has a serious image problem at the moment. However, I don’t currently see any backlash about the Ray Rice incident as long as people are continually watching the games. Ultimately it is a business and has no real motivation to change any policies as long as it is successful. While this may be a moral issue, their business model is clearly working. I also believe there is a strong global market. Every game in Europe has sold out thus far, and the population there seems to really enjoy it. The bigger problem, in my opinion, is developing a team there. We really can’t logistically fly a team across an ocean week in and week out, and this really hinders development of the overseas market. The NFL has made changes in their policy in regards to domestic violence, which includes a lifetime ban after a second offense. I don’t think the incidents involving Ray Rice, Adrian Peterson and Jonathan Dwyer have done anything to deter fans from tuning in, because their loyalty lies within their favorite team. I think one of the biggest issues that the NFL has faced are the inconsistent punishments handed down from Roger Goodell. In any type of management position, accountability and key, and Goodell’s failure to do just that is the reason why these incidents have snowballed into a PR disaster that even shows such as South Park has been able to capitalize on. Although he’s made the league more profitable than ever for owners, in my opinion, he’s continuously failed to win over NFL fans. There’s also been talk in recent years of moving a team to London where they are trying to create/keep an international fan base, especially through scheduled regular season games at Wembley; however, I don’t see many countries embracing the NFL like the U.S. This was an interesting article read about the NFL and I didn’t know that women are 45% of the fan base. I personally don’t think the NFL will be hurt that bad by the Ray Rice incident. I don’t even think the NFL should even have to deal with this just because they employee someone like this. The NFL is only put on blast about this because it is so prominent when acts like this can happen with different employees in different companies. I think they have an incentive to change their policies, even though I don’t think they should have to change anything. They only have this incentive because people will get ” angry” that the NFL supports this sort of behavior by not doing anything. I still think the NFL will have a positive growth in the future. I don’t even watch much football, but hearing about all this violence that happens in the athlete’s personal lives doesn’t really change my feelings about watching football. I don’t really see the NFL on a global market. I understand they have some games in the U.K, but right now I think soccer is still the leader in sports on a global level. Soccer is cheap, you just need shoes, grass and a ball. Football is a bit more expensive of a sport and the health ramifications that come with it such as concussion aren’t really appealing to people. The United States has a different environment, we act different here than the rest of the world. From first hand experience, me being polish and being in Poland, I can’t even explain in words how different it is there than here.